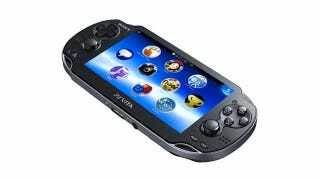 Four days after its release on U.S. shores, the PlayStation Vita passed the one million sales mark worldwide. Sony has sold a total of 1.2 milion Vita units in Japan, the U.S., and all of its other territories as of February 26, it said in a press release today. The powerful portable system first launched on December 17, 2011 in Japan, where it sold over 300,000 units during its first two days on the market. Sony released the device last week in the U.S. and Europe to some excellent reviews. Sony's main competitor in handheld gaming, Nintendo, has sold 15 million 3DS units worldwide since it released its glasses-free 3D portable in early 2011.